Dikgang Moseneke was imprisoned on Robben Island when he was 15, where he befriended Nelson Mandela. After a lifetime fighting for justice, he says that Mandela's lessons still hold true in today's political climate. Growing up in apartheid-era South Africa, Dikgang Moseneke could see the inequality all around him. "The lawn was greener on the other side, I could see the schools looked better, the townships where they lived looked better," he told The Current's Anna Maria Tremonti. "And my own view was, I wasn't going to die a slave. I was going to liberate myself, I was going to be a free person." 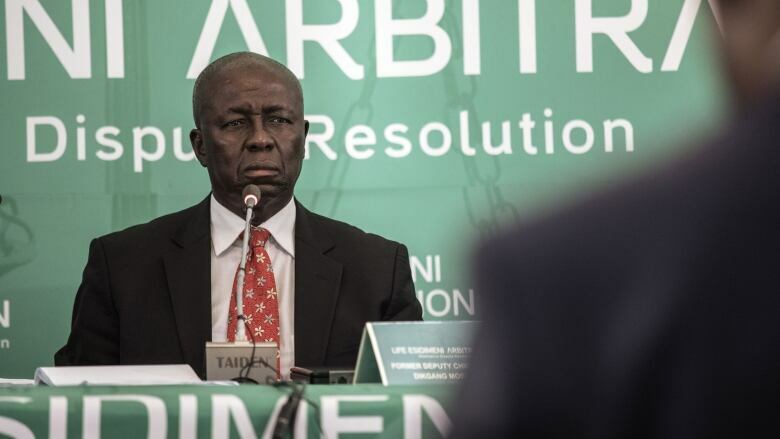 Moseneke eventually became a lawyer, rising to the position of South Africa's deputy chief justice from 2005-2016. But that journey began when he was 14, and he joined the Pan African Congress to fight the oppression he saw around him. A year later, he was arrested and imprisoned on Robben Island, where he befriended fellow inmate Nelson Mandela. He spent ten years on Robben Island, learning from the future president of South Africa. "Nelson Mandela taught not only just reconciliation and national unity, but he also taught unity in diversity — accepting the humanity of others." Moseneke spoke to Tremonti about his life's journey of liberation, and how the lessons he learned from Mandela still hold true in today's political climate. Listen to their full conversation at the top of this page. Written by Padraig Moran. Produced by Samira Mohyeddin.